As part of its monthly seminar series, the School of Population and Public Health (SPPH) held a talk about the realities of the opioid crisis and the current work being done to combat the increasing number of drug overdoses in British Columbia. The talk, which took place on March 3, welcomed Dr. Jane Buxton, the harm reduction lead at the BC Centre for Disease Control (BCCDC) and a professor at SPPH, as well as people working at the front lines of the opioid crisis. There has been an alarming increase in opioid overdoses over the past five years. 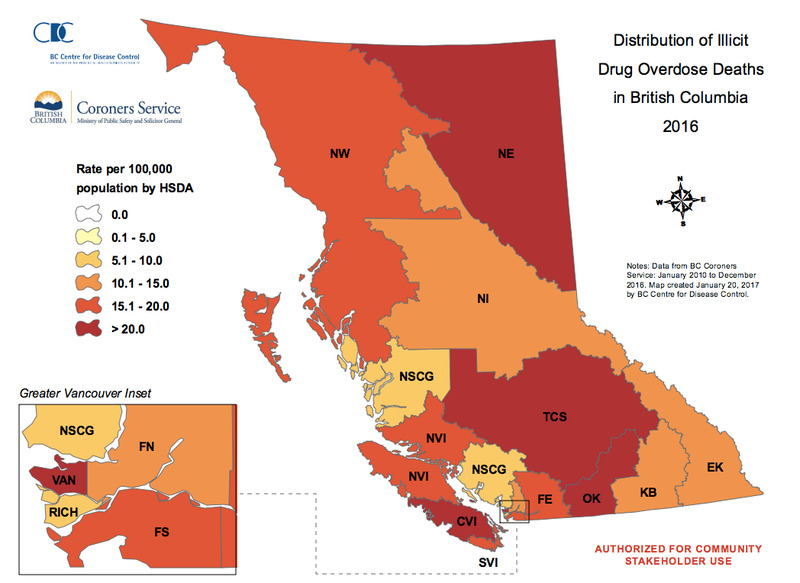 Last year marked the highest number of illicit drug overdoses in British Columbia, with a total of 914 deaths during the year. This year is already on a rough start with 116 deaths in January. That is an average of about four deaths every day. Opioids are addictive narcotics including heroin, morphine and fentanyl. When a person uses them, their drive to breathe decreases. An overdose occurs when larger doses of opioids stop the user’s breathing completely. “Naloxone, in short, is a wonder drug. It’s an antidote to opioid overdoses,” said Buxton at the talk. Naloxone temporarily reverses the symptoms of an opioid overdose. With a short reaction time of three to five minutes, it restores regular breathing and increases level of consciousness. Buxton led the development of the Take Home Naloxone program which makes naloxone kits available to people who are at risk of opioid overdose and people who may witness an overdose such as family and friends of a drug user. “It is not an answer to the opioid crisis, but it is preventing deaths. It is saving lives. It is empowering people who are able to do something rather than just calling for an ambulance,” said Buxton. In addition to the current statistics regarding the opioid crisis, the talk focused on giving an active voice to people working and living with substance use issues. Who is on the front line? SPPH works with different organizations in and around the Vancouver area to better understand the best methods of prevention. The Inner City Program was developed to provide youth with better access to mental health and substance abuse care. 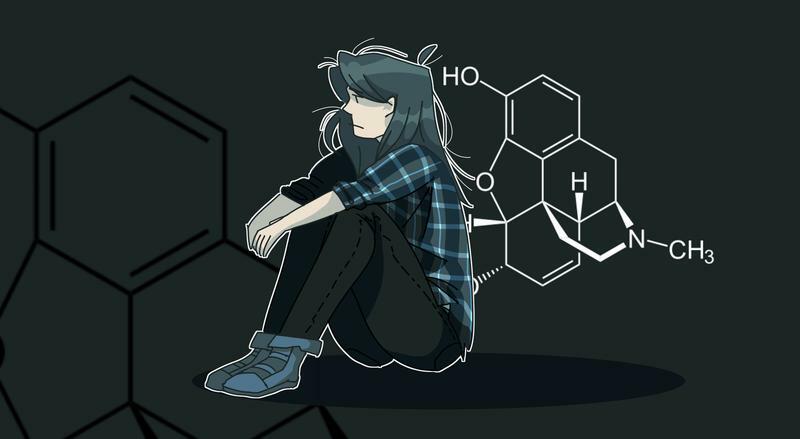 Since 2015, the program has tracked the response of youth to the Take Home Naloxone program, and found that youth would engage in other initiatives after participating in the naloxone program. The youth created an illustrated booklet sharing quotes about their experiences using naloxone. The Vancouver Area Network of Drug Users (VANDU) helps people who use illicit drugs to live healthy and productive lives through peer support and education. As a network of current and past drug users, VANDU provides a safe place where people can use drugs. “Through the stigma of narcotics, [opioids] went from being socialized, to being put in back alleys, to going to do it by yourself, to being left alone,” said Martin Steward, coordinator of the VANDU overdose response team. Approximately 50 per cent of overdoses happen in private residences and 40 per cent in public spaces or streets. By creating a community where drug users can interact with others, VANDU is helping them to build stronger relationships and to find support when they need it. From December 2016 to January 2017, just short of 2,000 people visited the VANDU site and 11 overdoses were prevented. “I wish it didn’t take so many people to die and overdose. I wish it didn’t take a crisis to bring us to where we are today. I wish we got together as a society, as human beings, and said let’s get together and make people understand that they don’t need to be alone when they do this,” said Steward. There isn’t going to be an easy solution to the opioid crisis. The discussion needs to involve those who have seen and experienced opioid overdose first-hand, and SPPH is headed in the right direction.